Sales representatives, on an average, spend 18 percent of their time researching and generating leads. 85 percent of B2B marketers believe that lead generation is their major content marketing goal. Going by these statistics, one cannot underestimate the significance of learning about effective lead generation tools. But before that, let us understand why lead generation is important for a business. Imagine a situation where John (a potential buyer) is searching for car purchase information sites. In the process, he visits one of the top car brand’s website. He is a probable lead. The best way to engage his attention is by popping up an enquiry form (perhaps with a message like “May I know what type of car you are looking?” or “Take a test drive with our car”) or by opening up a live chat window with an automated message (like “May I help you?” or “Do you need our support?”). Chances may be slim that the potential lead fills up the personal details but, there are chances that of getting some response from him or her. Lead generation is the marketing process that helps to connect and reach out to millions of prospective buyers. Its primary motive is to create a sales pipeline by nurturing interest of your target audience in your product. You can do so by using myriads of digital channels. The basic idea, here, is to nurture a continuous fruitful relationship with prospects. Good quality content is perhaps the best tool in hand. Thousands and thousands of information-centric web pages are now within your reach. You can leverage the immense power of optimized web copies to convert potential buyers to qualified leads. But not all times, do leads translate into sales. 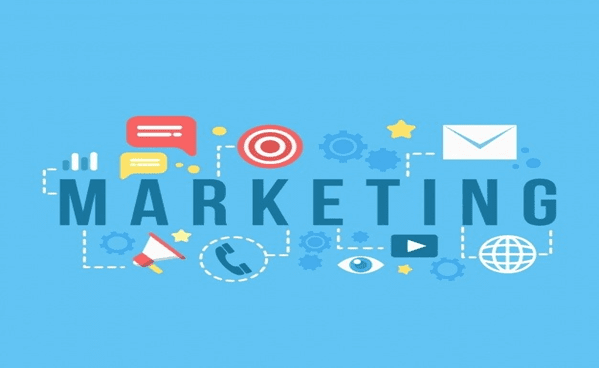 The online marketing team should remain focused on customers’ engagement via several marketing gimmicks, tools and software. The first step towards sales is to create effective leads via different sources and channels. It is all about conversion optimization, wherein you seek maximum engagement of your target audience. As a marketer, you urge them to fill form on your landing page to procure their email address. In simple terms, lead generation is beneficial for customer database creation. In a broader sense, lead generation can be bifurcated into two major branches – the Outbound Marketing and the Inbound Marketing. There are several marketing tools that your business can rely on to generate quick leads. It requires the right tactics and marketing tools and software to earn qualified leads. The choice of tool depends on the marketing team because each company has specific goals. It provides direct communication with qualified leads or curious visitors accessing your website. It is the newest way to acquire customers and engaging them. The top feature is that you can address visitors with display messages, if certain conditions on the web page are met. For instance, if a visitor has come to your site looking for a product, you can flash a “Happy to help…Let me know about your requirement” kind of message. A team operator can directly speak to visitors. The operator can opt for video chat via live chat window. Ease in gathering customer feedback on products. Addressing and resolving customer issues. Collecting leads browsing your website. Email marketing is the most important part of digital marketing. It is one of the top ways of communicating with customers through direct, targeted messages through inboxes. At least 80% people and businesses prefer this mode of marketing. Hence email marketing tools are essential. Mail Chimp happens to be a prominent email marketing tool that helps in the creation of email marketing campaigns. The best feature of this popular platform is its intuitive email builder that allows easy drag and drop facility. It is popular for its email automation possibilities too. Can store huge number of email contacts (up to 2000 contacts can be saved) for free. Can be used to send 12,000 emails monthly for free. Cost-effective because paid plans begin at $10/ month. Email marketing, as already stated, is a time-tested outbound marketing technique. Apart from Mail Chimp, Active Campaign is another email marketing tool. Its key feature is the ability to track every single website visit. A lead’s interaction with your website is used as a trigger for future email marketing campaigns. The sales team is instantly informed about any lead visiting the website. Following up with cold leads (done in frequent month intervals). Building email campaigns for the purpose of nurturing warm leads. It is an effective tool for the purpose of lead generation and sales funnel optimization. It is a potential B2B lead generation software tool. With lead forensics, you can transform business sales funnel. The software helps to reveal the identity of anonymous website traffic and convert it into leads. 98% of website browsers leave without any kind of enquiry. Turning anonymous traffic to sales. Know about search queries and page engagements. Maximizing ROI on your online campaigns. Accelerating the entire lead generation process. Executives believe that a lack of clear goals is the most common reason for project failure, which is why, you need a marketing project management tool. It helps businesses to generate leads faster. With this simple project management tool, you can spend quality time on generating leads. When you have more time off tracking and managing projects, you can better focus on business. ProProfs Project allows you to collaborate across remote teams and different departments with much ease. Everyone in the team receives timely notifications; notifications helping them to stay updated with the milestones achieved and latest developments. Less time spent on tracking and managing projects. More focus on core business and lead generation. Better team collaboration and easy report generation. If sales and marketing team wants to get high quality contact list, outbound sales platform of Growbots may be of a great help. It helps you to attract more and more new customers. The technology that powers up this marketing tool is the use of AI (Artificial Intelligence). Outbound sales can be fully automated. Prospecting and outreach can be found in one single space. The sales team can get easy and instant access to customer database. Personalized emails can be created and sent to targeted prospects at the right time. An optimized recommendation system that matches responsive prospects with business. Interesting enough, in an age where social media marketing has acquired immense popularity and significance, Quora is moving up the ladder to become a top lead generation tool. The custom-built social media site seems to be built for lead generation. Professional questions are answered. The answers help in spreading thought leadership and connecting with genuine influencers. Quora is a knowledge sharing social platform. Forum leading to exchange of ideas. Easily accessible target audience who is provided helpful, well-informed answers for all their search questions. Spreading awareness about company/ product/ service. Even visitors can find valuable information and address of sites. Based on business goals, the marketing team of a company identifies potential leads. These leads should increase sales in future. Employing the above marketing tools plays a critical role in lead generation and ultimately, sales. What is most important is to engage, attend, and communicate with your customers via different sources and channels. Customer engagement and conversation is the key here. The focus, however, should be on leveraging a Project management tool. According to a survey conducted by McKinsey & Co., close to 60 percent of senior executives view building a strong project management discipline to be the top-three priority for their companies in the future. David is a technical writer currently associated with ProProfs Project. He enjoys writing about emerging project management products and its latest trends. He lives in Detroit, Michigan with his wife. In his spare time, David loves exploring the city, listening to Metal music and riding. To connect with David go to his LinkedIn profile.